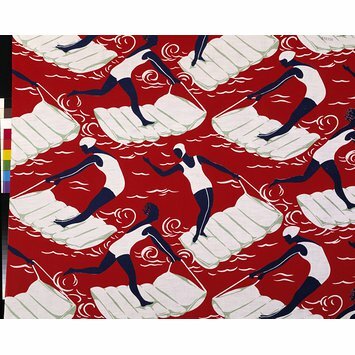 This dress fabric, entitled ‘Surfers’, was manufactured by the Calico Printers’ Association in 1937. The dynamic composition shows women surfing on lilos. They wear fashionable bathing costumes in highly contrasting red, white and navy. Dress fabric of roller-printed cotton. 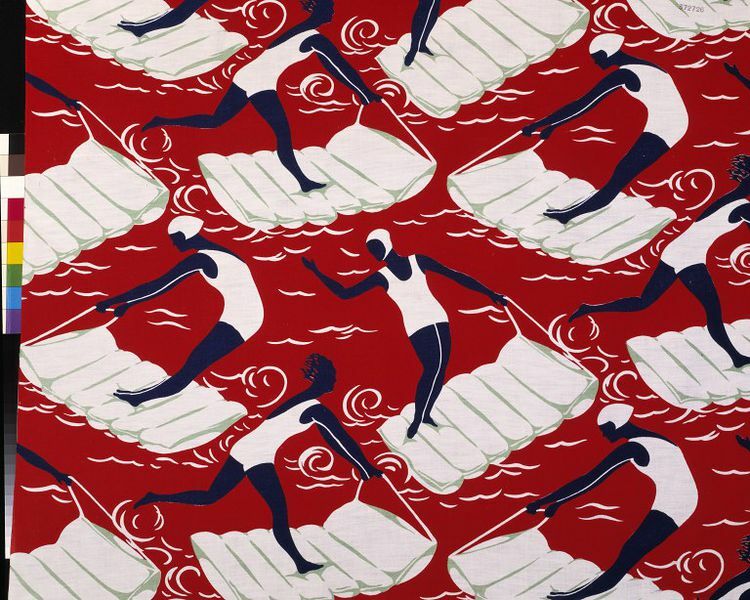 Bathers surfing on lilos in white, navy and green on a bright red ground. Samuels, Charlotte. Art Deco Textiles. London: V&A Publications, 2003, Pl. 92.